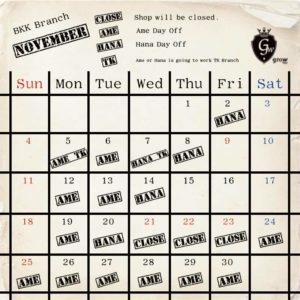 This is our BKK branch’s schedule on November!! We will be closed from 21st – 23rd for Water festival!! Previous Previous post: BKK’S October schedule! !